A shift in spending is underway, as consumers move away from anti-aging products and toward basic staples with benefits. Vaseline rolled out a lotion for menopausal skin. 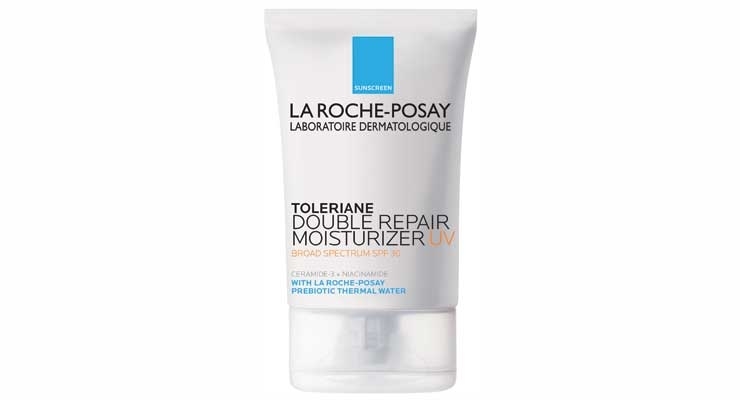 A new rollout from La Roche-Posay. ...and so will Holika Holika, which offers a range of sheets masks. While the discussion seems to be shifting away from anti-aging to skin health, the end game remains the same: nobody wants fine lines, big pores or dull skin. But how skin care companies get there is a moving target. Consumers want efficacious ingredients, mostly natural ones, and fewer of what some consider “questionable” materials. In many respects, skin care companies are being asked to do more with less. That’s a tall order for manufacturers—and consumers are still asking for more, often by way of practices and principles. For example, Americans want the beauty products they use to mirror the lifestyle choices they are making elsewhere. According to a recent Google Beauty Trends report, searches for the vegan skin care category have grown by 83% year over year in the US. Still, skin care spending has slowed in the past year, and there are changes afoot in terms of where consumers are investing their dollars. Once a major driver of growth in the sector, anti-aging appears to be, well, getting old. According to IRI data, overall sales of skin care products rose 2.10% in US multi-outlets for the 52 weeks ended Feb. 19, 2017. But sales of facial anti-aging products dropped 3.54% to $1.04 billion. In contrast, facial moisturizer sales rose 7.32% to $467.9 million and facial cleansers posted 12.13% growth to $1.2 billion. After posting 8% growth between 2011-2016, facial skin care sales slowed to just 1% growth in 2016, reaching $6.7 billion last year, according to Mintel beauty analyst Margie Nanninga, who described anti-aging—while still a big market—as lackluster. 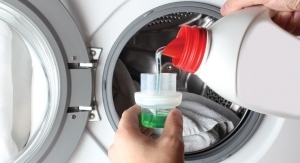 According to Mintel, cleansers (30%) overtook anti-aging (28%) as the largest category. 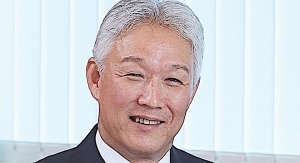 “The staples are doing well,” Nanninga told Happi, noting that facial cleansers and moisturizers are driving growth in the sector. 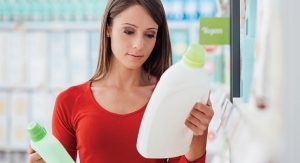 One theory for the shift: basic products are incorporating broader claims, and consumers do not need specialty products to answer their needs. Take Vaseline, the venerable brand owned by Unilever. It recently added a moisturizer designed for menopausal skin—an answer for aging women who notice that the products that once worked do not work anymore. “Hormonal changes during and after menopause change the skin’s physiology in new and different way. The decline of B-Estradiol during menopause is one of the culprits in the accelerated aging of the skin. Because of declining estrogen levels and a lack of B-Estradiol, women going through menopause experience skin dryness (cracking, redness, itch), imbalances in the skin (oilier in some places like the face, drier in hands, legs and feet), and dry skin due to sweating during hot flashes. Skin also feels thinner and bruises more easily,” said Kathy O’Brien, vice president of skin and marketing services at Unilever. 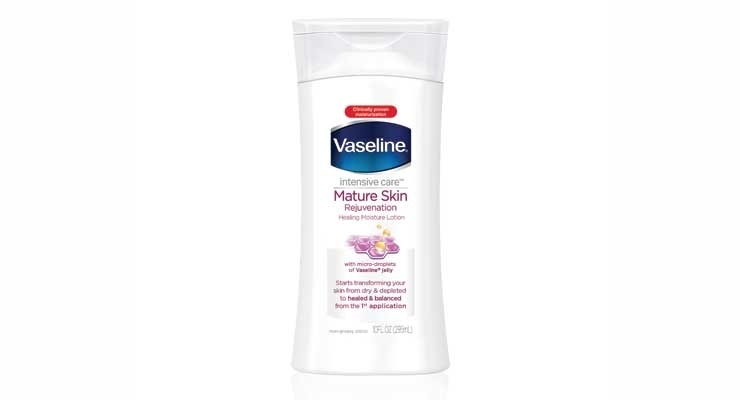 Vaseline Mature Skin Rejuvenation Healing Lotion contains high levels of glycerin for intensive moisturization, PPAR activators to help penetrate the skin to replenish lipids and moisturize, vitamin B3 to help rebalance skin, and micro-droplets of Vaseline jelly that lock in moisture. In a similar vein, sister Unilever property Dove is targeting the other end of the marketplace with new Baby Dove, with a new range that includes its iconic “one-quarter moisturizing cream” as well as DEFI technology to protect the skin’s natural barrier. 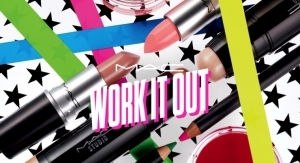 Other mass market brands are expanding their collections, too. 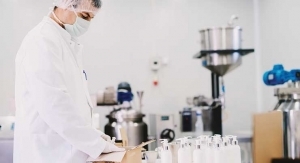 Galderma Laboratories’ Cetaphil, for example, recently added seven new facial products as part of its effort to deliver specialized solutions that address key skin concerns. 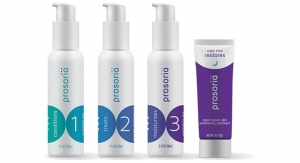 The new additions include a daily moisturizer and rich night cream, both of which contain hyaluronic acid to address hydration issues, as well Redness Relieving Daily Facial Moisturizer, a neutral tinted moisturizer with SPF 20, and Redness Relieving Night Moisturizer, which is said to provide continuous moisture to reduce, overnight, the appearance of redness due to dryness. 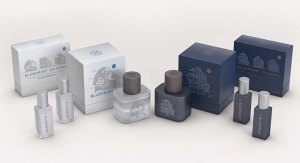 Meanwhile, Mederma rolled out a line that incorporates the exfoliating benefits of glycolic acid in a gentle, pH balanced-cleansing and moisturizing system for the entire body, according to Merz Pharmaceuticals. The range includes Mederma AG Facial Cleanser, which can also be used for shaving sensitive areas such as the bikini line, face and underarms; Mederma AG Facial Toner; and Mederma AG Face Cream, which is said to gently remove dead skin cells from rough, dry, sun-damaged skin, smooth the appearance of fine lines and imperfections, and help maintain proper moisture balance thanks to hyaluronic acid. From mass to premium, skin care brands continue to harness proven ingredients and unique delivery methods to deliver on their claims. Topix Pharmaceuticals, Inc. expanded its range with Replenix RetinolForte Treatment Serum, which has a patent-pending, time-released micropolymer delivery system that efficiently deposits retinol into the skin, ensuring a full dosage without the irritation commonly associated with a retinoid. In addition, antioxidant benefits of 90% green tea polyphenols and caffeine USP help moisturize and maintain the skin barrier while calming skin, according to the brand. 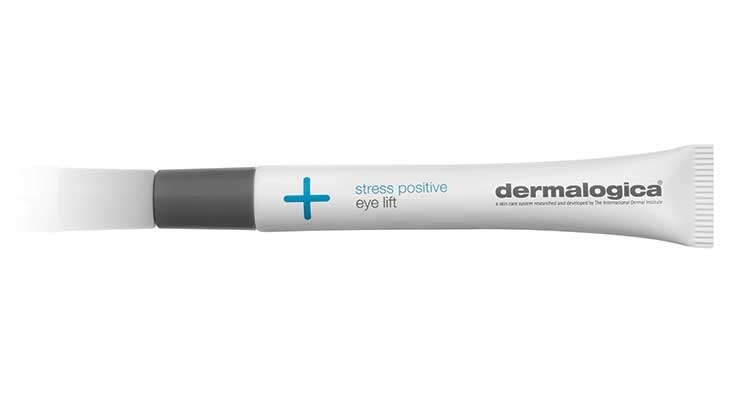 Dermalogica’s new Stress Positive Eye Lift, a two-in-one eye treatment and masque that rolled out last month, is said to visibly reduce the appearance of puffiness and dark circles, instantly brighten and lift the eye area, and help restore the skin barrier. The formulation is driven by several materials from wild indigo seed, which brightens to help visibly reduce under-eye circles, to sea water extract and arctic algae which counter the look of puffiness to fermented yeast to a hyaluronic acid blend. In addition, bioactive diglucosyl gallic acid works with skin’s natural biome to brighten and energize the eye area, according to Dermalogica. On counters this month is Clinique Moisture Surge Hydrating Supercharged Concentrate, which is said to deliver a surge of hydration to help increase skin’s moisture reservoir. Key ingredients include hydroxyethyl urea and glycerine, (both naturally found in the skin) which when supplemented, boost the skin’s Natural Moisturizing Factor; trehalose and sorbitol which work to bind water and help to retain it; and hyaluronic acid. 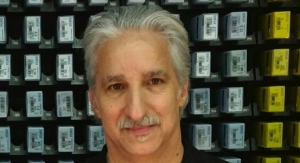 Dr. Tom Mammone, vice president of skin physiology and pharmacology, Clinique research and development, worldwide, pointed to the vital role of the delivery system in this new product. 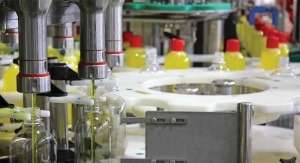 “Clinique’s Liquid Sphere Technology is true innovation,” Mammone told Happi. It is a dual-pronged technology that combines water-binding agents which instantly boost skin’s moisture levels to 179% that is retained at 65% after 24 hours. 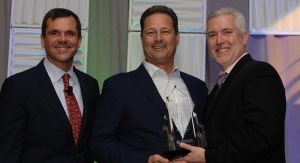 Liquid Sphere Technology has two contributing factors, according to Mammone. 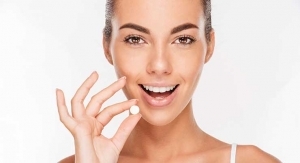 “The first are the encapsulated spheres of vitamin E and vitamin C that burst open on application, releasing potent antioxidants. Liposomes, which are almost like bubbles, help to keep vitamin E and vitamin C stable and deliver the antioxidants instantly into skin, penetrating beyond the surface. The second is a moisture-holding matrix, which interlocks moisture-magnet polymers to seal in hydration and boost skin’s moisture retention,” he said. A newcomer to the US market, Vitabrid, is also touting a special delivery system that offers the benefits of vitamin C. Vitabrid C12 line is driven by Vitabrid CG, a vitamin C complex (ascorbic acid, zinc oxide, glyceryl monostearate) that the Korean firm contends has never been used before in a beauty line. It relies on patented Layered Double Hydroxide (LDH) technology, billed as proprietary organic-inorganic hybrid technology that encapsulates active vitamin C between bio-friendly mineral layers to deliver the active continuously for over 12 hours. “It is well known in the skin care community that vitamin C has a number of benefits such as skin brightening through melanin inhibition, skin tone firming, wrinkle reduction and collagen synthesis among others. The drawback is that vitamin C, by nature, is a highly unstable compound and is easily destroyed before delivering its benefits to the skin. Also, its water-soluble property makes it nearly impossible for vitamin C to penetrate through the skin layers that are protected by the lipid layer on top,” Vitabrid C12’s research director Jinwoo Kim told Happi. The line includes Vitabrid C12 Face Brightening, a transdermal vitamin C powder that is designed to be mixed with the user’s skin care product of choice each day. 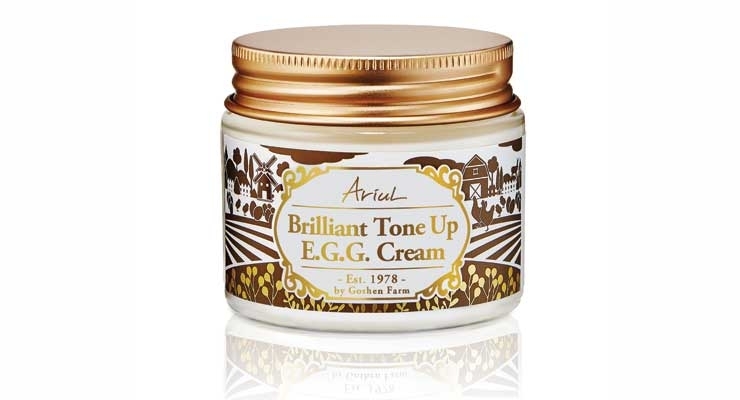 The formulation contains allantoin, adenosine and hydrolyzed collagen. Consumers appear to be gravitating to products that address their specific (yet common) skin concerns with ingredients that are both familiar and far flung. At Biore, the emphasis is on baking soda and charcoal. 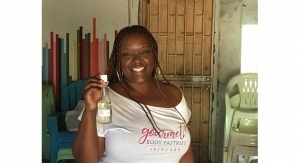 The brand has incorporated both into formulations that contain salicylic acid, such as its new Baking Soda Acne Scrub, Charcoal Acne Scrub and Charcoal Acne Clearing Cleanser SKUs. For Perricone, hydrogen plays a major role in the brand’s new Elemental Energy Series, which addresses the needs of dull, tired-looking skin resulting from skin dehydration. 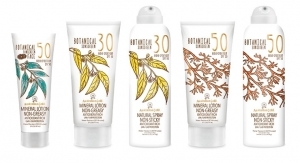 The collection was developed for all skin types, and is best suited for consumers in their 30s and 40s who are experiencing damage from internal and external factors, which include sun damage, poor diet and sleep that can take a toll on skin’s appearance resulting in dull and fatigued-looking skin. According to the brand, Perricone MD’s H2 Energy Complex powered by hydrogen is able to rapidly penetrate the surface layers of dull, dehydrated skin cells with a boost of hydrating vitality so skin looks re-energized and radiant, while providing natural antioxidant protection. The H2 Elemental Energy Series, which features fast absorbing formulas and unique, “lighter-than-air textures” to effectively energize the skin’s surface layers and negate dehydration without the heavy feel of traditional creams has five products: Hydrating Cloud Cream moisturizer, Hydrating Booster Serum, De-Puffing Eye Gel, Firming Foam Mask and Advanced Renewal Infusion Serum. The serum is exclusive to QVC until next month; the rest are sold by Sephora, Nordstrom and Ulta as well as PerriconeMD.com. Meanwhile, La Roche-Posay researchers studied the role that a healthy microbiome plays for optimal skin health, and has rolled out its first-to-market prebiotic skin care collection that acts on both the moisture barrier and the microbiome for double repair. According to the brand, the unique mineral and microbial diversity of La Roche-Posay Thermal Spring Water, found at the heart of the brand’s skin care products, has a prebiotic action on the microbiome that is scientifically proven to help repair even the most sensitive and atopic skin. Formulated with the highest concentration of prebiotic thermal spring water, the brand’s Toleriane collection has four new products that repair skin’s two barriers, resulting in healthier, more radiant looking skin: Toleriane Purifying Foaming Cleanser, Toleriane Hydrating Gentle Cleanser, Toleriane Double Repair Moisturizer and Toleriane Double Repair Moisturizer UV–Broad Spectrum SPF30. While consumers find comfort in familiar materials, they are also inclined to experiment, thanks to the influx of Korean beauty products into the US. While K-Beauty began in the prestige sector, it is becoming more accessible. CVS Pharmacy, in fact, is betting big on Korean beauty with the roll out of its K-Beauty HQ concept at 2,100 stores nationwide. The move is one of the largest Korean beauty initiatives globally, according to the Woonsocket, RI-based pharmacy chain. More than 100 new products from South Korean beauty brands—some of which are exclusive—will be available, according to CVS, which partnered with Korean beauty expert Alicia Yoon to curate the collection. Brands that will be on shelves at CVS include ingredient- and trend-driven concepts such as waterless fruit-based Frudia skincare, Elisha Coy’s range that includes materials like snail mucin; the Ariul EGG Collection which uses egg oil to help reduce inflammation, boost elasticity and fight free radicals; and Holika Holika, which boasts a series of unique masks, such its “After Drinking” Mask Sheet. In addition, CVS K-beauty concepts will also be the exclusive home to Yoon’s new beauty brand, Peach Slices. Yoon has put a clever spin on natural ingredients and avoided harsh chemicals, dyes, alcohol, parabens and sulfates in her range, which includes masks, special acne “spot dots” and a hydrating moisture-gel that is formulated with grapefruit, orange and honey extract. The emphasis on maintaining skin health is helping marketers draw attention to new area of concern: pollution. Brands like H2O+ Beauty contend consumers are in the dark when it comes to the damaging effects airborne pollution can have on skin health. According to a new study by H2O+ Beauty, just 33% of people purchase skin care products to protect their skin against pollution and other environmental stressors, such as traffic and car exhaust, factories and power plants, and secondhand smoke, even though a majority understand the risk of exposure to such chemicals. “The data indicates a serious rift between general awareness of the damage that pollution can cause to your skin, and the understanding that you can shield your skin from harm with certain products,” said Joy Chen, CEO of H2O+ Beauty. According to Chen, there’s a misconception that pollution is only an issue in urban areas. “These toxins appear everywhere,” she told Happi. In fact, nearly half of the people in the US live in counties with unhealthy levels of either ozone or particle pollution, according to the American Lung Association—and this takes a toll on skin health. 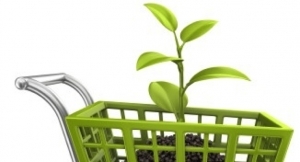 But since the damage takes place over a longer period of time, consumers are less aware that it is happening. “They don’t see it over the course of one day, like with sunburn. It is a slow deterioration of the skin—dullness and damage that’s hard to see,” said Chen. 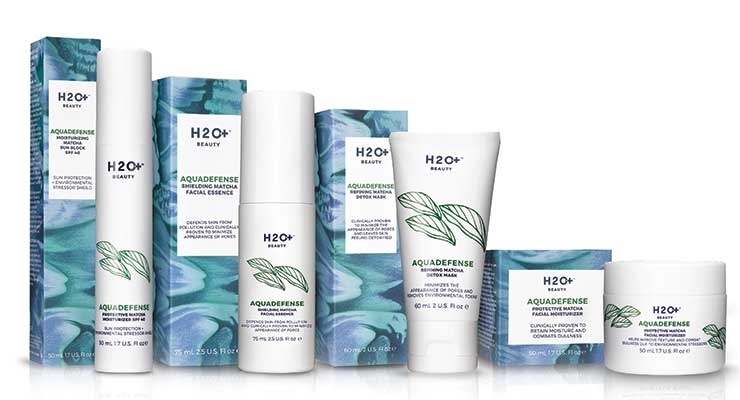 Her brand is out to change the dynamic with its new Aquadefense line, which features products that have been formulated specifically to combat pollution’s effects on skin. The line includes Shielding Matcha Facial Essence, Refining Matcha Detox and Protective Matcha Moisturizer SPF 40, all which are formulated with matcha green tea and rice bran extracts. 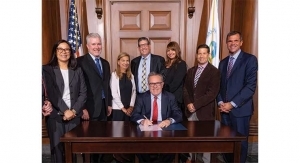 “There’s a real opportunity for the beauty industry to take more action to help protect our skin against harmful airborne toxins,” said Chen. Market trackers like Mintel have high hopes for anti-pollution too, and suggest brands and ingredient suppliers get aggressive about highlighting anti-pollution skin care benefits in the near term. In fact, waging a new battle against hidden dangers could reignite growth rates that skin care stakeholders want to see.